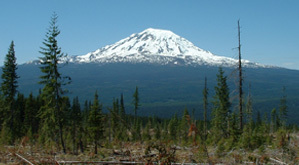 "It shall be the mission of the Wildlife, Range, & Vegetation Resources Management Program for the Yakama Nation and its members to manage, protect, restore, and enhance the ecological cultural integrity of the Land & Natural Resources preserved since Time Immemorial and under the Treaty of 1855"
The Wildlife, Range, & Vegetation Resources Management Program seeks to protect, restore, and enhance the ecosystem integrity and traditional use of wildlife and other natural resources while supporting a culturally and economically strong, self-governing Sovereign Nation. 2018-19 Public Hunting Seasons and Regs Now Posted!! !